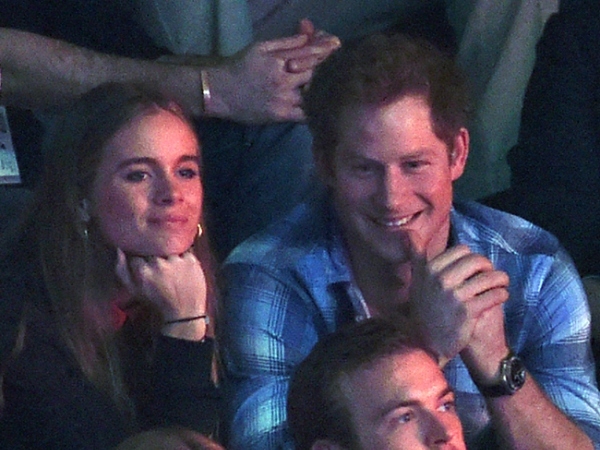 Cressida Bonas has moved into a flat near Kensington so that she's closer to her beau Prince Harry. Britain's Prince Harry's girlfriend has moved into a flat near him. Cressida Bonas has found herself a swanky apartment in Shepherd's Bush, near Kensington, in London so she can be closer to her beau, who resides at Kensington Palace. A source told HELLO! magazine: "Cress loves the area and likes to go to the Havelock Tavern, which is the actress Carey Mulligan's local. She and her friend Daisy have been hunting for somewhere nice and cheap but also close to Kensington Palace. Kensington is far too expensive, so she went for the closest area that was affordable." "It's just two stops [on the tube] from Notting Hill Gate, which is the station she uses when she goes to see Harry." Meanwhile, the 30-year-old royal has been smitten with Cressida (25) since they began dating almost two years ago, but a friend of the socialite claims she won't be moving in with Harry any time soon. The source said: "[Cressida] has no intention of living with Harry just yet, despite what people have been saying." However, it seems the pair is keen on taking the relationship to the next level after rumours began to swirl recently, which suggested Harry was gearing up to pop the question to his lover. A source said previously: "First he needs to go through certain royal protocols, such as asking his grandmother's permission."